We've finished the first month of the year and the business world is already moving quickly, especially in the Midlands. We spoke to Andrew Wood to get his insight, and here are four ways to make your office a better place for you and your employees in 2019. Versatility will be important, from design and furniture choices, to actually knowing what your staff want from their workplace. Think about ways your furniture can be multi-purpose, such as tables which can wheel away to reveal more floor space; it’s not worth having a writable wall in a meeting room with a table which can’t be moved. At Goodyear-Dunlop, we included flexible furnishings and partitioning so that they office could expand and change with their staff's needs. Don’t let the word ‘agile’ scare you! It doesn’t mean your entire workforce will be ‘working from home’ in their pyjamas, but rather, it encompasses a variety of ways of working. ‘Agile working’ means different things to different people and businesses, but one thing is clear; agile working needs a concrete policy, as well as infrastructure, to succeed. 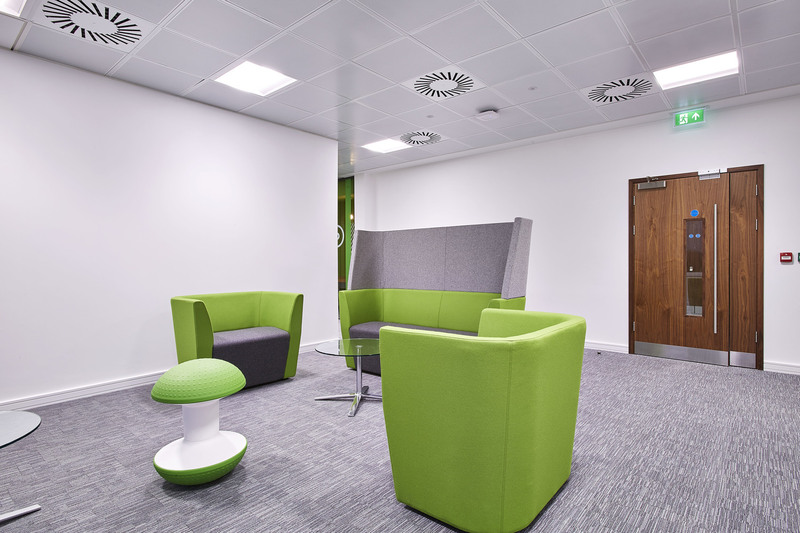 IHG have a variety of spaces that are design to complement staff's current task; whether that be quiet contemplation, collaboration or more casual working. A culture of presenteeism, (having to be sat at your assigned desk every day), is killing creativity and productivity. Giving your workforce places to do concentrated work, such as pods, means they can step away from distraction and get that report done on time. This should also include spaces for informal meetings and eating lunch – I would even go as far as to ban ‘lunch al desko’ in 2019! The token office tree was a good start, but more can be done to use natural materials within your workplace design for the benefit of your people. Humans have an innate desire to be in touch with nature through our surroundings, and biophilic design now plays an important role in office space. 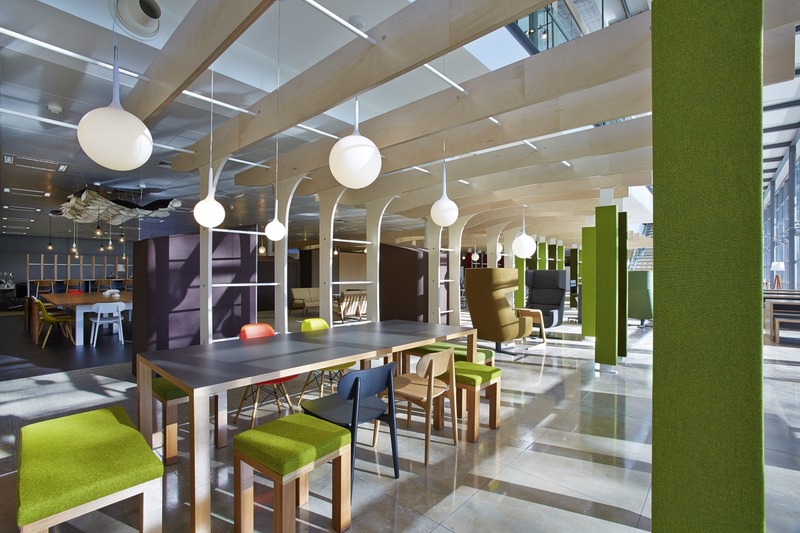 It’s becoming an important consideration for any office design centred on staff wellbeing. This means incorporating natural finishes, indoor plants and references to nature or its symmetry - just like we did for AstraZeneca in their nature-inspired Cambridge office. Wellbeing is exactly that: the state of being well – both mentally and physically. In the workplace, this has resulted in a growing trend to give our staff both wellbeing initiatives and a quality physical workplace. Wellbeing is long past its buzzword status and is now a key consideration for new talent. It’s crucial your workplace is designed to facilitate wellbeing and helps keep your staff in top condition. Design considerations are based around things like movement and posture, eating habits and noise levels, as well as access to fresh air and natural light. Having easy access (and promoting the use of) standing desks and agile spaces will encourage staff to move around the office throughout the day. 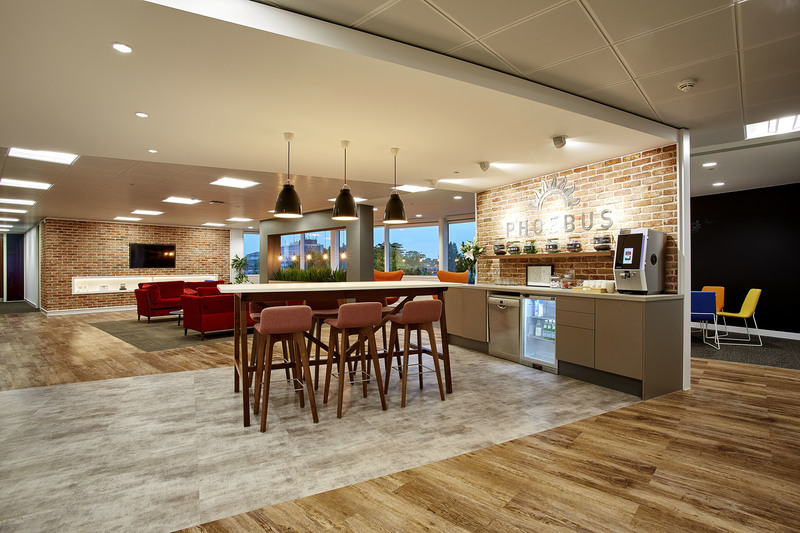 That's why we integrated this standing collaboration space into the breakout areas for Phoebus Software. A lack of new Grade A office stock in the Midlands means staying put and refurbishing your office will be a top trend for 2019 and beyond. It’s more than just choosing new carpets or moving partition walls. 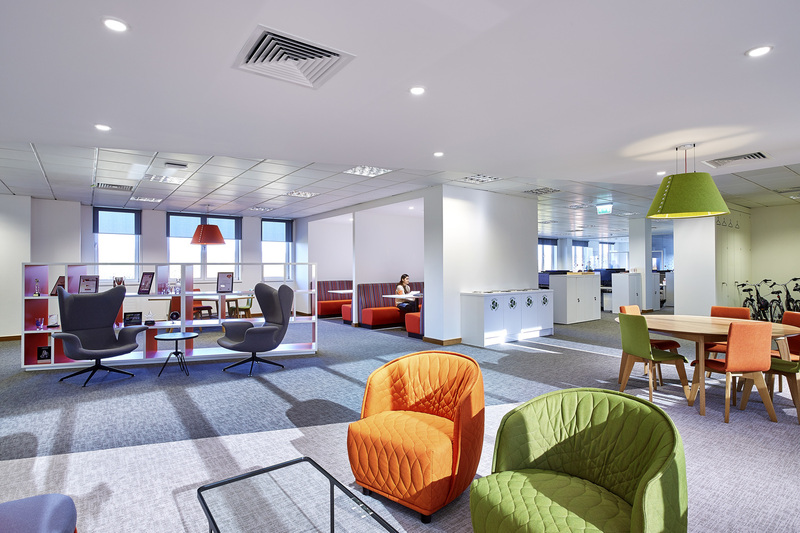 Think about why you are undertaking an office refurb; are you looking to attract new talent, retain staff, or perhaps add communal space, breakout areas or workstations? Once you have identified why you are refurbishing, it’s easier to determine what it’s going to look like and what you need. The best part is, you don’t even need to move! Refurbishment in occupation projects can work within your needs to deliver a fresh, new space with minimum disruption to your business.